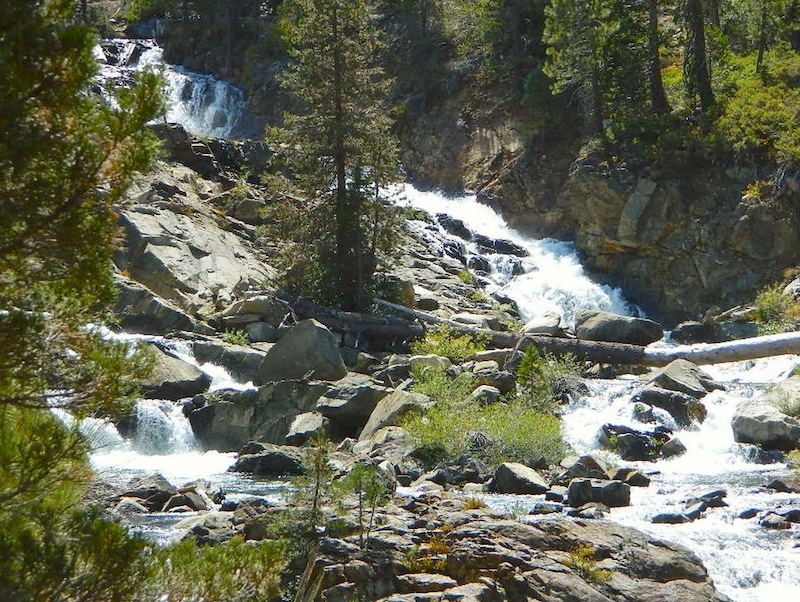 elevation 5800′ – Canyon Creek connects Lake Faucherie, Sawmill Lake and Bowman Reservoir in the Sierra, Tahoe National Forest. 20+ miles of backroad travel, off I-80. 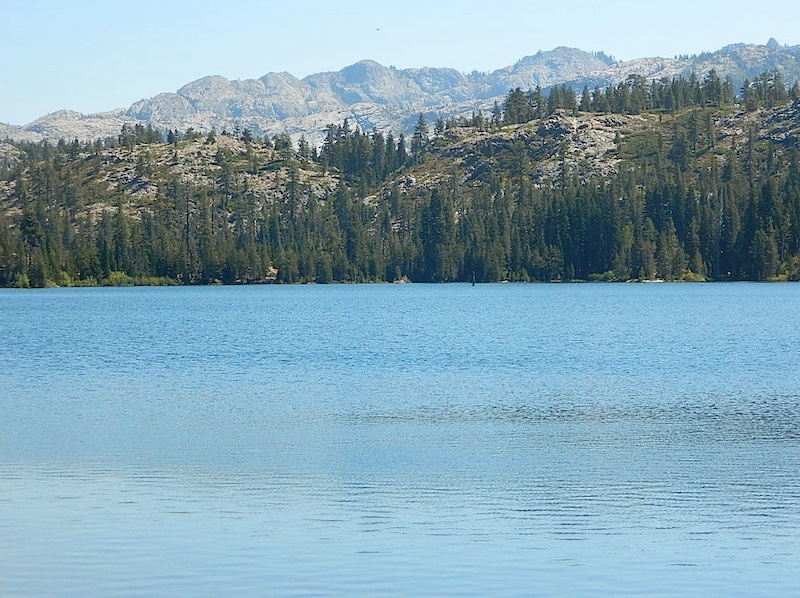 While many consider Faucherie to be the most beautiful scenic lake, Sawmill Lake just downstream a couple of miles is still quite attractive – with dense forests and a granite mountain backdrop. Sawmill is especially nice for those who like to primitive camp, ouside of developed campgrounds. Way off the interstate @ Hwy 20, tucked in way back behind Bowman Lake a few miles, you can find Sawmill Lake. Fishing and camping, kayaking and canoeing are all popular recreation around this lake. A trailhead on the northend of the lake leads out to even more alpine lakes (a day hike “lake loop” or backpacking option). 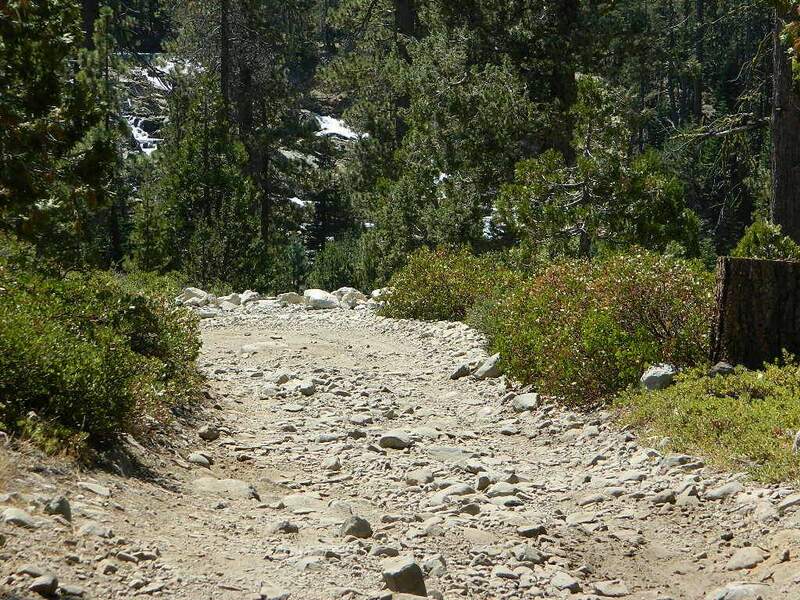 The Pacific Crest Trail is also routed nearby. No motorized boats or watercraft allowed. 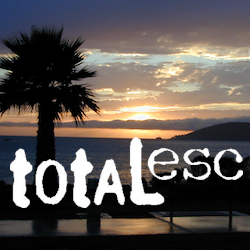 No boat ramps, no pavement, no picnic tables, no bathrooms, no fees. The north shoreline is abundant with dispersed campsites: metal fire rings and a clearing only; no picnic tables, no toilets. Self sufficient campers only. 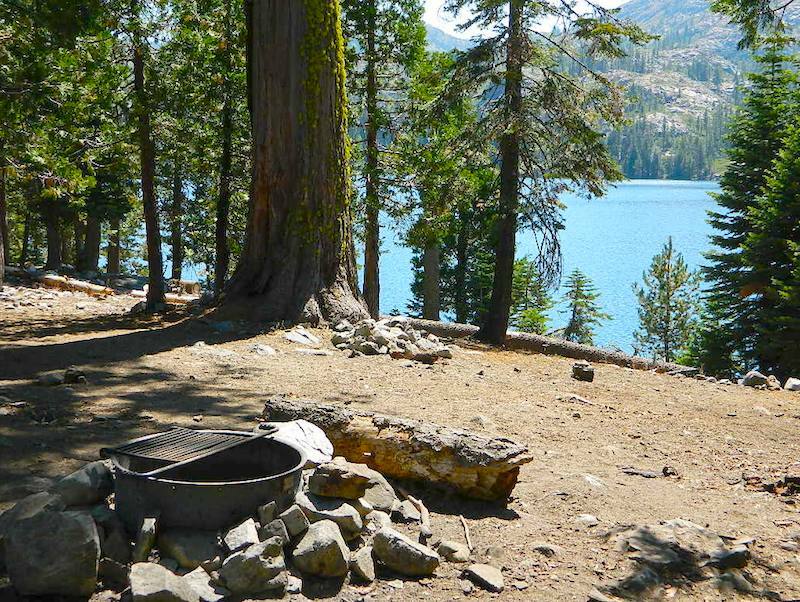 Campfire permits, a water bucket and a shovel are required. During extreme fire restrictions campfires may not be allowed. Check with local rangers for up to date info. Most campsites are drive up and park, while others closer to the shoreline have only walk-in access. Hauling your gear down hill won’t seem unthinkable once you’ve seen the lakeside views. There is even a camp below the dam, next to the waterfall. The main access Road #843-037 is very rocky and 4x4s love to frequent the area. The backroads here are best suite for truck travel, high clearance vehicles, off-roaders and SUVs. No small RVs or trailers. Passenger cars are not recommended. The access roads around the lake and up to the lake are dusty and rugged. The road below the dam is quite rough w/ rocks. For more driving details, please see entry on Canyon Creek Campground. 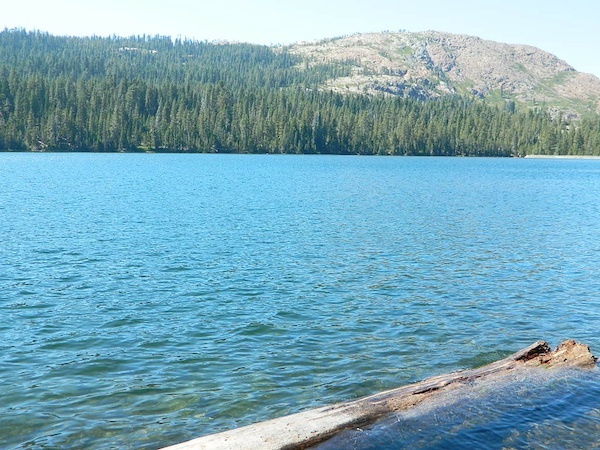 The water at Sawmill Lake is crystal clear snowmelt. The lakes around here are managed by Nevada Irrigation District, so this is why there are no engines allowed on the lake. This canyon area closes to public entry during winter months (NOV-APRIL), due to deep snow.